Tahoe Trail Running is proud to partner with Girls On The Run Sierras. At Girls on the Run we inspire girls to recognize their inner strength and celebrate what makes them one of a kind. Trained coaches lead small teams through our research-based curricula which includes dynamic discussions, activities and running games. Over the course of the ten-week program, girls in 3rd-8th grade develop essential skills to help them navigate their worlds and establish a lifetime appreciation for health and fitness. The program culminates with girls positively impacting their communities through a service project and being physically and emotionally prepared to complete a celebratory 5K event. Tahoe Trail Running has donated over 25 thousand dollars to this fine organization. Tahoe Trail Running is proud to partner with the Sierra State Parks Foundation. Tahoe-Truckee area California State Parks are unique treasures. They provide critical program, volunteer and financial support to our valued cultural and natural resources. Because of our work, our parks will continue to be places of education and inspiration for generations to come. $1 of every registration for the Emerald Bay Trail Run goes towards specific projects in the Tahoe California State Parks. 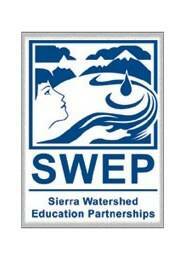 Tahoe Trail Running is proud to partner with the Sierra Watershed Education Partnerships. SWEP promotes environmental stewardship by connecting students to their community and local environment through comprehensive watershed education and service learning. 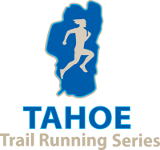 Tahoe Trail Running is proud to partner with The Tahoe Fund to promote the Lake Tahoe License Plate Program and the funding that is used to build, maintain and protect the trails, water quality, wildlife and forest health of the Lake Tahoe basin. 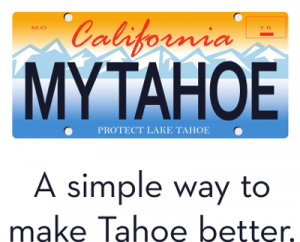 Show your love and support of Lake Tahoe by ordering a California or Nevada Lake Tahoe License Plate. Over 96% of the funds from purchase and renewal fees for Lake Tahoe License plates are used to build, maintain and protect the trails, water quality, wildlife and forest health of the Lake Tahoe basin. New Tahoe License Plate fees benefitting the Tahoe Basin are $50 in California and $61 in Nevada. The annual renewal fee is $40 in California and $30 in Nevada. Personalized plates are also available for additional fees. To learn more about how your support helps keep Tahoe beautiful or to learn about specific conservation, recreationand education projects, visit the California Tahoe Conservancy and the Nevada Division of State Lands.